This film takes your heart on an emotional roller coaster. Seriously. Paula Garcés is such an underrated actress, yet she has real depth in dramatic roles. Same thing with Ryan Merriman. And when you throw in Stanley Tucci, Rubén Blades and Dana Delany as the supporting cast you get an all-round great movie. 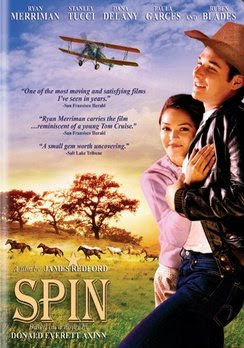 Spin is a coming of age story about an orphan who discovers family, love and friendship in a bittersweet way.